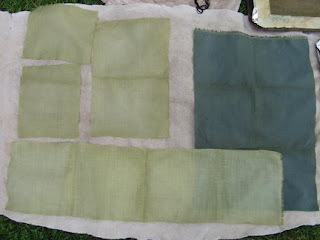 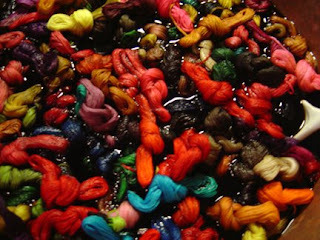 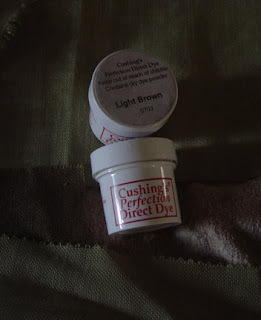 Out of the dye pot ... MUCH better!!! 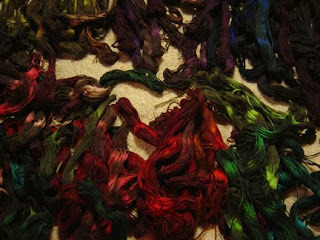 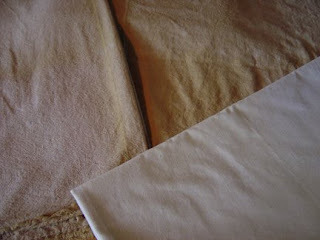 and some feedsacks ... and even some weaver's cloth!!! 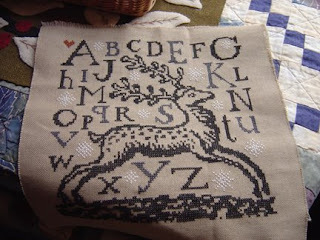 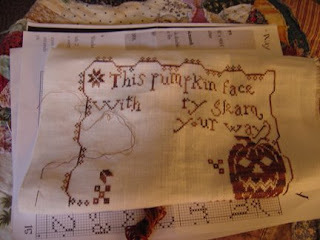 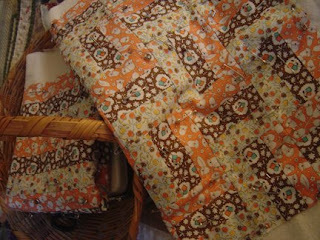 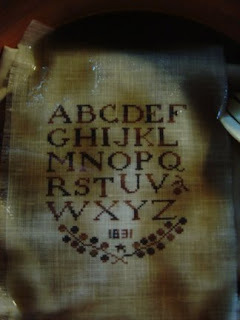 My punkin cross stitch on 32 count linen using a French overdyed cotton floss that is just YUMMY!!! 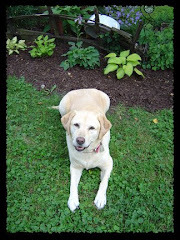 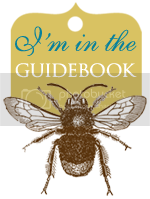 BTW - I've started blogging too so stop by for a visit when you get a minute!